Is ’90s Industrial Rock making a comeback? A few bands sent our way have had that ’90’s Industrial Rock vibe (Gravity Kills, Stabbing Westward, NIN). Many of them sent to us fell flat and just weren’t that interesting. Deconbrio caught our attention though with their release “Hail to the Liar’s Throne“. “Hail to the Liar’s Throne” has many of the elements seminal Industrial bands of the ’90s passed down. 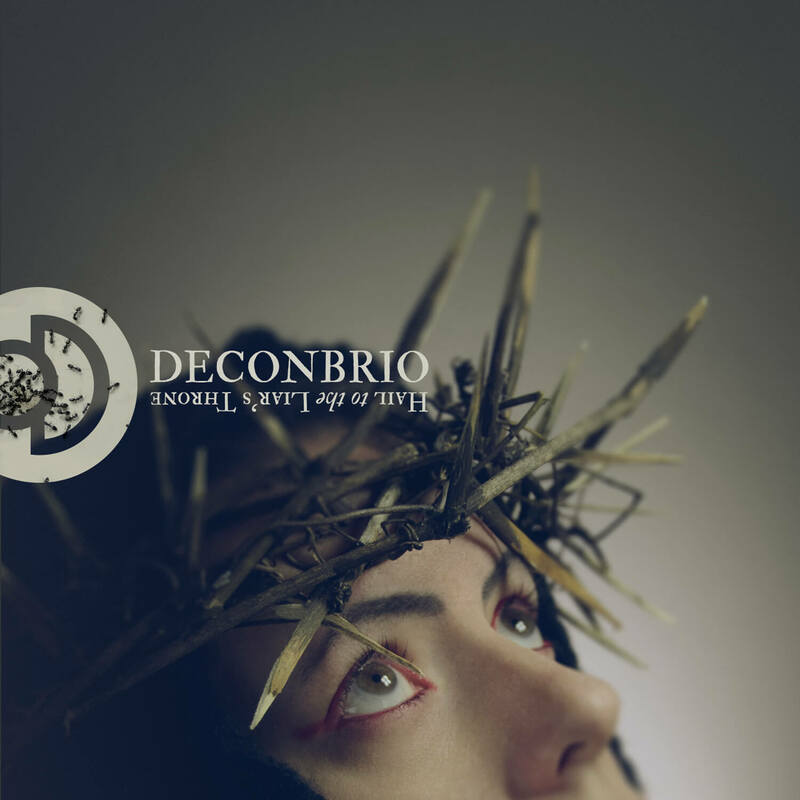 Deconbrio brings those heavy Industrial Rock vibes to the fore, but they keep a touch of that more electronic Industrial in the mix. Add a splash of catchy Rock and you have what Deconbrio seems to be about on “Hail to the Liar’s Throne”. Even though you can tell Deconbrio was/is heavily influence by earlier Industrial, they still manage to have a sound of their own. There is a decent mix of electronic beats, heavy guitars and decent drums on most of the tracks. My biggest issue with “Hail to the Liar’s Throne” is with the vocals. While the vocals are not bad at all, they ride a bit to on the mellow/pop side for my taste. A touch more aggression in the vocals and guitars would make for an interesting mix. Overall though, with decent Industrial being few and far between these days, Deconbrio are helping to bring that sound closer to the forefront. “Hail to the Liar’s Throne” is worth a listen. Especially for fans of 90’s Industrial Rock that miss that sound.